This forecast was published 04/13/2019 at 6:59 AM. 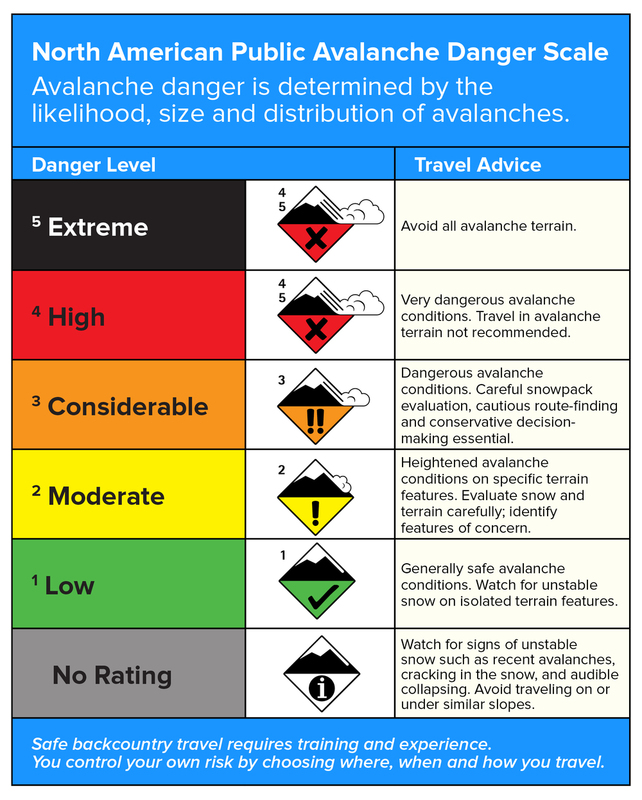 This is an archived avalanche forecast and expired on 04/13/2019 at midnight. Above freezing temperatures, and some rain since yesterday morning, will make it possible for you to trigger a wet slab avalanche today. Wind slabs that formed midweek will continue to be unstable until freezing temperatures return. Wet loose avalanches that skiers or snowboarders may initiate are also possible and could help trigger a wet slab. A key characteristic of wet slab avalanches is that they’re hard to predict. Realize that key ingredients for wet slab avalanches are present today and that stability tests are of little use in assessing the snowpack. 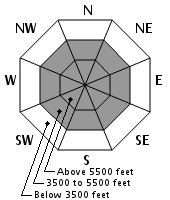 All forecast areas have MODERATE avalanche danger. Evaluate the consequences of these difficult to predict wet slab avalanches in any terrain you choose to enter today. 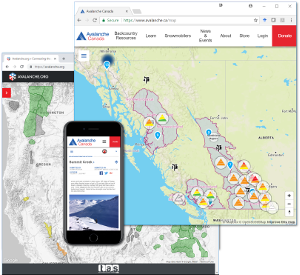 Also consider your exposure to emerging spring hazards like icefall, rockfall, and water flowing beneath undermined snow as warming continues. 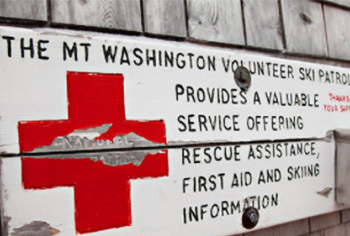 The summit of Mount Washington has been above freezing since mid-morning yesterday. Temperatures increased overnight to 40F on the summit and 46F at our snow plots, and around a tenth of an inch of rain fell. Rain showers continue this morning, tapering off early with a chance for partially clearing skies through the day, and may produce another tenth of an inch or more. All elevations should warm a few degrees through the day before cooling after dark. Our snowpack in the ravines will be on the cusp of undergoing a refreeze tonight. Westerly summit wind in the 40-60 mph range today should increase overnight. Tomorrow’s forecast calls for increasing clouds, high temperatures just above freezing at ravine levels and just below freezing on the summit, NW summit wind around 80 mph, and rain or mixed forms of precipitation starting in the evening. Continued warming has made wet slabs of the wind slabs that were built earlier this week. 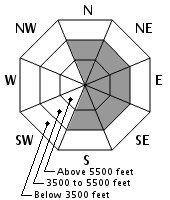 You’re most likely to find this avalanche problem on the eastern half of the compass rose. If you have good visibility, it may be possible to discern the bright white wetting wind slabs from a more grey, older snow surface, allowing some options to avoid this avalanche problem. Exactly when and where you might trigger a wet slab avalanche is very hard to predict, making today a particularly poor day attempt to outsmart the avalanche problem. Wet loose avalanches are possible on all aspects and all snow surfaces in steep terrain. These wet sluffs may be easy to initiate under your skis or board and carry a lot of weight. They can easily knock you off your feet, so consider the consequences of a sluff-induced fall in terrain you choose. These sluffs may also help trigger a wet slab avalanche. Our upper snowpack is currently in the middle of the strongest warming period in the past week. Slabs formed on W and NW wind into Thursday morning have warmed since and not experienced a refreeze. Small wind slabs formed earlier in the week have warmed and refrozen, but are warming to a greater degree currently. These recent layers sit on a previously hard crust. Warming and moisture continues to penetrate into the snowpack, with snow temperatures at our Hermit Lake snow plot currently 32F on the surface, 10 cm down, and 20 cm down. The wetting recent wind slabs are our primary wet slab avalanche concern. Acknowledge this poor structure of a relatively new layer of snow, over a crust, that is undergoing its first significant warming. 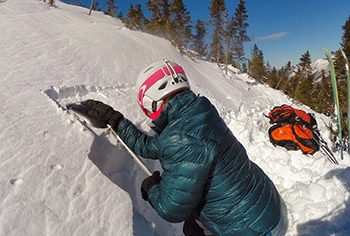 Wet slab avalanches are hard to predict, but the key ingredients are present today. We are working as quickly as possible to release further details regarding the avalanche burial that occurred on Thursday afternoon. 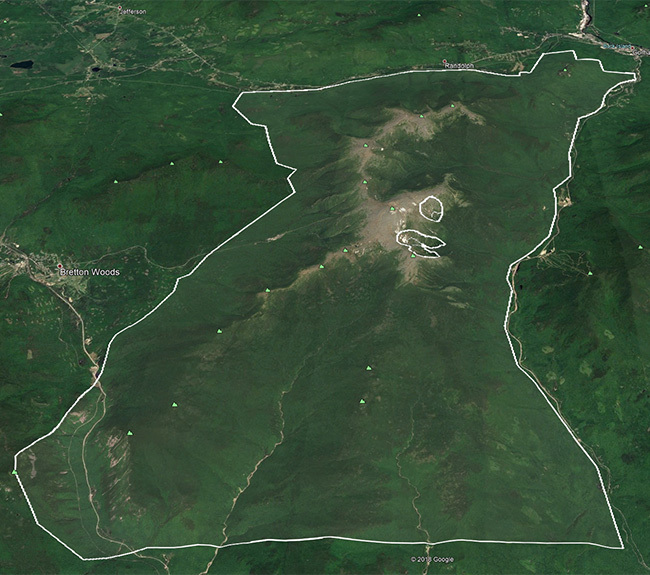 We hope that accurate details will provide learning opportunities to the avalanche community. Posted 04/13/2019 at 6:59 AM.